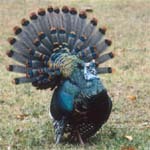 For most turkey hunters, the Gould's, Ocellated, and Osceola Turkeys are the last turkeys needed to finish a Grand, Royal, or World Slam. For these, we have you covered with a hunting camp for each that promises unexcelled adventure and hunting success. 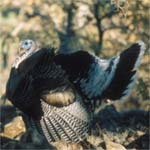 Click the turkey you need next and see what we have to offer. 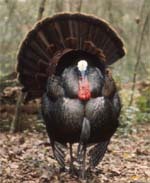 Then call Lovett to discuss these turkeys and to plan your hunt.
.:| Ocellated in Guatemala -- no longer available | Osceola in Florida -- no longer available | Gould's in Mexico |:.